Situated in Serina, this apartment building is 1.9 mi (3.1 km) from Orobie Bergamasche Regional Park and within 9 mi (15 km) of Caduti Temple and Gran Kursaal Municipal Casino. QC Terme San Pellegrino and San Pellegrino Casino are also within 9 mi (15 km). Situated in the mountains, this historic property is 2.9 mi (4.7 km) from Orobie Bergamasche Regional Park and within 9 mi (15 km) of Caduti Temple and Ganda Astronomical Observatory. Gran Kursaal Municipal Casino and QC Terme San Pellegrino are also within 9 mi (15 km). Situated in Serina, this apartment building is 1.9 mi (3 km) from Orobie Bergamasche Regional Park and within 9 mi (15 km) of Caduti Temple and Gran Kursaal Municipal Casino. QC Terme San Pellegrino and San Pellegrino Casino are also within 9 mi (15 km). 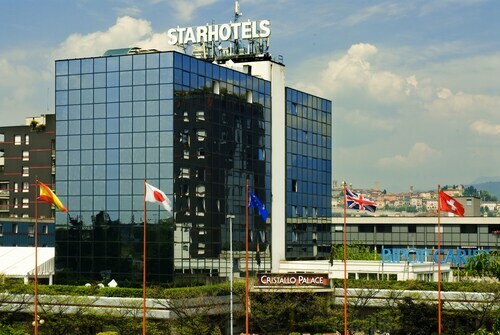 Situated near the airport, this spa hotel is 1.7 mi (2.7 km) from Oriocenter and within 6 mi (10 km) of Fiera Campionaria di Bergamo and Kilometro Rosso Science and Technology Park. Centro Congressi Giovanni XXIII and Creberg Teatro Bergamo are also within 6 mi (10 km). How Much is a Hotel Room in Serina? Hotels in Serina start at $83 per night. Prices and availability subject to change. Additional terms may apply. 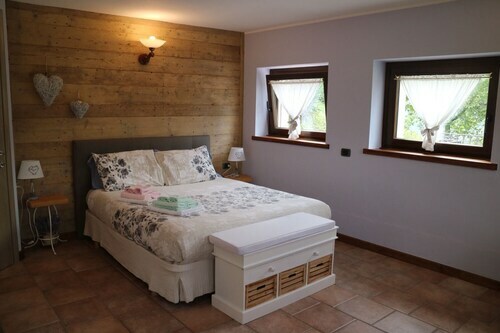 Planning to spend some nights in Lombardy Alps? Hoping to book a place to stay in or around Serina? Within an easy commute to Serina, there are 2 highly regarded hotel options. Travelocity hotels that are within a short drive of Serina include the Papa and Hotel Centrale. The Relais San Lorenzo is approximately 13 miles (21 kilometers) from the heart of Serina. 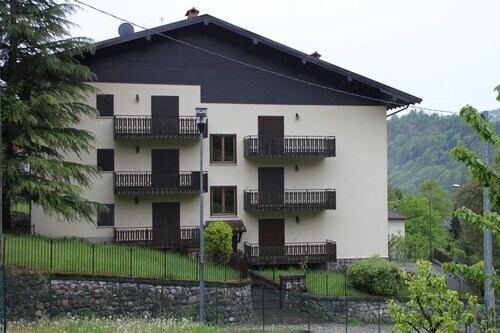 Another place to stay is the Petronilla - Hotel in Bergamo, which is located about 14 miles (22 kilometers) away. Some other possible options are the Relais Franciacorta and the Hotel Piazza Vecchia. Following your exploration in Serina, take the time to investigate Lombardy's other great offerings. Lombardy is well known for rural landscapes, rivers, lakes and mountains, and common sights are ruins. In this area of Italy visitors may try their hand at snowboarding. You could spend some time checking out Via Spluga e Val San Giacomo Museum and Montalto Ski Lift, which you'll find in Spluga Valley, 40 miles (65 kilometers) to the northwest of Serina. The Boscone Suite Hotel and Hotel Arlecchino are just some examples of the great long and short-stay options in Spluga Valley. 20 miles (34 kilometers) to the east of Serina, you will find Camonica Valley, home to the Rizzi Aquacharme Hotel & Spa and Hotel Brescia. If you come to Camonica Valley, keep a day to explore the Lago Moro Park and Incisioni Rupestri di Luine Park. If you think of sport as your life and enjoy attending thrilling clashes ensure you spend some time at San Siro Stadium, situated 40 miles (66 kilometers) to the southwest of Serina. Book a Travelocity-listed hotel in the thick the sporting action at the Hotel Magna Pars Suites or the Hotel Roma. Orio Al Serio Airport is 15 miles (25 kilometers) from Serina's downtown area. 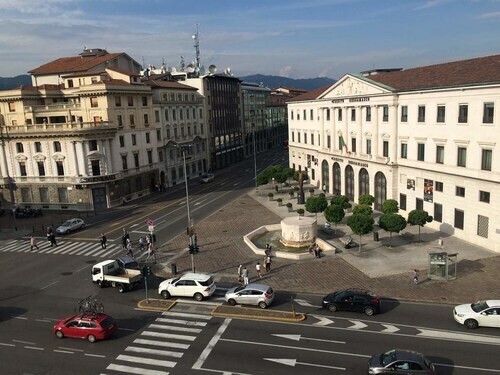 If you hope to find accommodation nearby can look into a room at the Liberty B&B or Vip Bergamo Apartment. So easy to get to the airport for an early flight, very prompt shuttle bus booked ahead of time, highly recommended. Pretty good for downtown Bergamo, breakfast good. Hotel staff tries to please. Air conditioning marginal for hot and humid days. It gets worse for the higher floors. 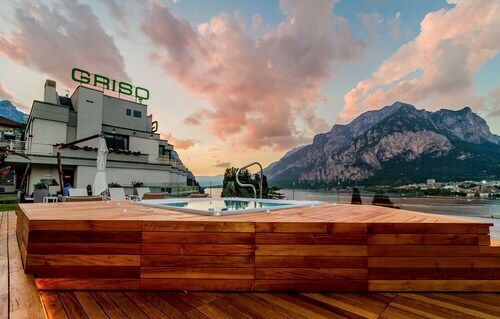 This hotel is located in a quiet and great location, the views are amazing. There are quaint shops and cafe`s with in a 5 min walk from the hotel. We had dinner in the restaurant at the hotel and it was fantastic and reasonably priced for such an elegant and delicious meal. 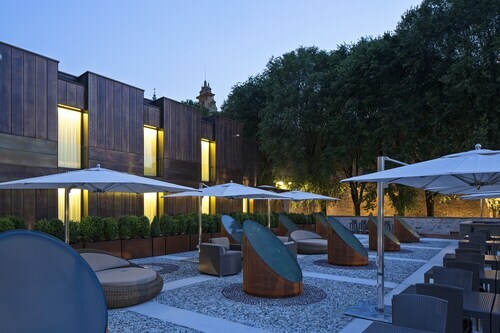 I would highly recommend this hotel and restaurant if you are ever visiting the area of Bergamo. We absolutely enjoyed and loved our visit to this hotel and the surrounding area, it was truly a wonderful trip. We stayed at this hotel just for the night after flying in from Istanbul near midnight. The hotel is just a couple kilometers from the Bergamo airport, taxi after midnight was about 20 Euro, which is pricey for the short drive. The clerk who answered the phone at night sounded cranky and impatient when I asked if they had airport shuttle service, "No! Just take the taxi!" Our room was very comfortable and we had a restful night of sleep. The breakfast buffet on the patio was great, and the young staff's service was much friendlier. Overall the room was a great value and good for overnight stays enroute to somewhere else, because immediate hotel vicinity had nothing to offer. 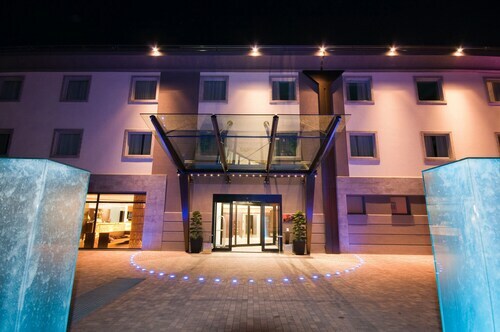 The hotel staff was exceptional, professional and friendly which made it an enjoyable stay. We stayed in numerous places in Italy and they were the best of the lot. Ok I came to this Hotel about five years ago and it was great. A few months ago I went for my friends birthday party, and it wasnt like I remebered. I went down to ask for pantyhoes and the guy at the front desk said that I didnt need them and would not give them to me.